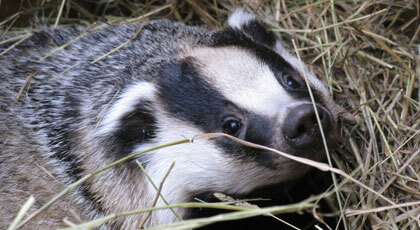 Badgers are found from the mountain areas to the Danube’s meadow. Badgers are nocturnal and spend the day in their dens or extensive networks of tunnels dug in well-drained ground (or sometimes beneath buildings or roads). Dens give shelter from the weather and predators. The national record for badger skull is 23,87 CIC points (the world record for badger skull is 24,58 CIC points). The legal hunting season occurs between August 1st and March 31st and the used hunting method is still-hunt.